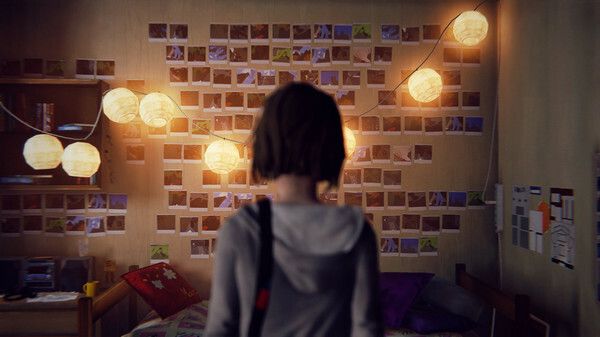 We gathered that Life Is Strange is coming to Linux from all the recent SteamDB activity, but it looks like Feral Interactive are the ones behind it. I know some ports like BioShock Infinite have been ported to Mac/Linux by different people, but that was an unusual case. We also have the fact that Feral Interactive are announcing/possibly releasing something soon going by their recent twitter teaser. Feral Interactive also have the newer upcoming port radar entry too. This will be the item on the Radar with the image of an eyeball and the equation (Euler's Identity) - An equation that is well know because it's considered to be mathematically beautiful. However, this is the bit where it becomes relevant - ￼￼"e^(i π) = -1" is an enigma, it's mathematically possible but strange and inexplicable for most mathematicians. In other words - Life is Strange. Quote It is absolutely paradoxical; we cannot understand it, and we don't know what it means, but we have proved it, and therefore we know it must be the truth. This game looks very interesting. Someone tested it? GBee This will be the item on the Radar with the image of an eyeball and the equation (Euler's Identity) - An equation that is well know because it's considered to be mathematically beautiful. However, this is the bit where it becomes relevant - ￼￼"e^(i π) = -1" is an enigma, it's mathematically possible but strange and inexplicable for most mathematicians. In other words - Life is Strange. It's literally read as "Formula 1". Also this hint from Feral appeared much earlier than SteamDB entry for Life is Strange. legluondunet This game looks very interesting. Someone tested it? My favorite Let's Players didn't like it at all. Found it corny. But many consider it to be very, very good. GOTY good. 96% positive Steam reviews - and yes, I do think with many reviews and such a positive number this actually means something. And it's got the Game Developers Choice Audience Award. It's literally read as "Formula 1". Well that's boring!! My explanation was far more creative. chelobaka Also this hint from Feral appeared much earlier than SteamDB entry for Life is Strange. The game works well in WINE, I played it but don't liked it, has interesting bits, but in the end it was boring. Loved the environments and the intentional "Twin Peaks" feel, of the small american town where it takes place, it also has some interesting characters (some find them "compelling & engaging" others find them "corny"). As for the story, I think it started out very interesting but it became weaker towards the end. The whole thing took a bit of a philosophical turn, that I found to be rather weakly plotted and ill considered. The gameplay itself was rather standard fare, not complex like the more classical adventure titles but not quite as ultra-simplistic as the Telltale games. All in all, even though I was unhappy with how the story evolved in the later chapters, I thought it was a very well made game and definitely worth playing. I played the demo at EGX Rezzed last year and knew it would be something I'd like. I finally caved when episode 1 was available at the $1 level in that HumbleBundle. After playing through that in WINE I couldn't contain myself and bought 2-5 in the next sale. It's definitely the sort of game I enjoy, so I wouldn't expect everyone to like it as much as I did, but I think it's the best current example of the 'story driven choice and consequence' genre. I liked the characters, liked the story, liked the art style, liked the geeky cultural references. I also liked how they took a meta-game mechanic (rewind any decision) and made it a game mechanic but then built the story in such a way that even if you played out all possible choices at a given decision point you still couldn't be sure what the 'right' thing to do would be. Things I didn't like: mouse control was awkward, the few events in the game where you had to get something done quickly were very frustrating.